The above info came from Nicole Recto, and was edited by yours truly (contact me). The image came from Anime Galleries. 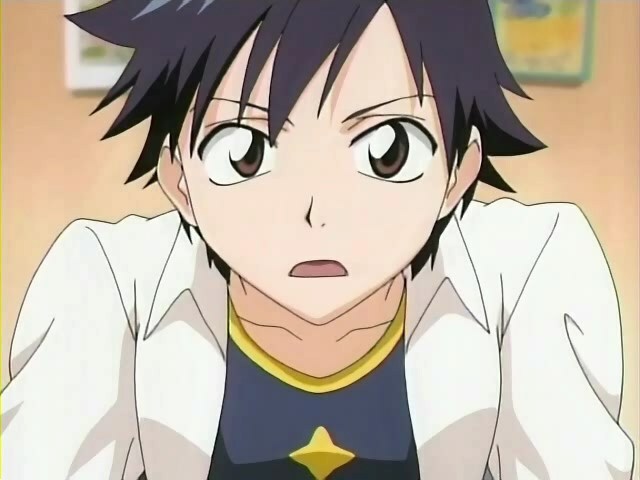 Tatsuki Arisawa is kind of like a tomboy that practices karate to fulfill her dream of becoming a vale tudo champion. She is a different girl compared to all the other ones in both anime and manga. Her name, though, is spelled in hiragana because she thinks it doesn't look cute in kanji. Tatsuki can be overpotective of her friends, especially her best friend, Orihime. Usually she gets overprotective of Orihime eitther when guys come close to her when they are looking for a date or by Chizuru. Tatsuki is very good at karate and in places high in Japan's national karate competitions. She also has tutored Orihime in karate. Ichigo and Tatsuki have known each other since they were four years-old. They met in a dojo where they had their first fight. Of course, Tatsuki won. They studied in the same dojo for 5 years and Ichigo finally beat Tatsuki. When middle school came, she beat up some bullies that cut Orihime's hair because she didn't have the guts to stand up for herself. When Ichigo and Tatsuki were young, Tatsuki would visit Ichigo's house and Ichigo would let her in. Usually he wouldn't let any girl in until Rukia. The above description came from Nicole Recto, and was edited by yours truly (contact me).